I came in with some general ideas for what I wanted for a consult. Neal was super easy to work with, honest about the process and what I could expect both during the tattooing process and whether or not I could get what I wanted. He not only cared about how the tattoo turned out, but how it would last too. It turned out better than I pictured it. Got tattooed by Simone the other day. He did an amazing job, drew clean lines, worked quickly, and chose a great font for my text tattoo when I wasn’t sure what I wanted. If I ever decide to get another tattoo, I will definitely go back to Lark Tattoo and work with Simone again. I’ve been to Lark a few times and they have never let me down. The vibe in the place is amazing. The artists are so professional and kind. I’ve also gotten pierced twice. He’s terrific!! 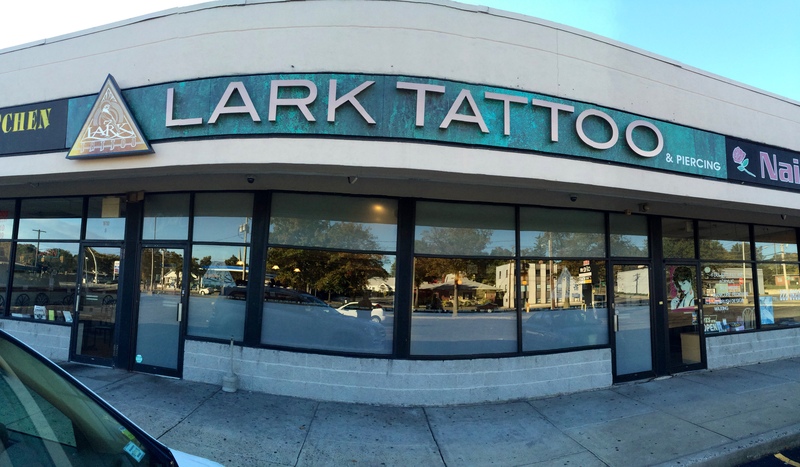 Lark is my place for any tattoos and piercings. I highly recommend them!! staff was friendly, and professional. I received after care instructions as well as assurance of assistance if I have any further questions or any issues moving forward. great experience! amazing artist- made me feel very comfortable and i was very happy with my experience!